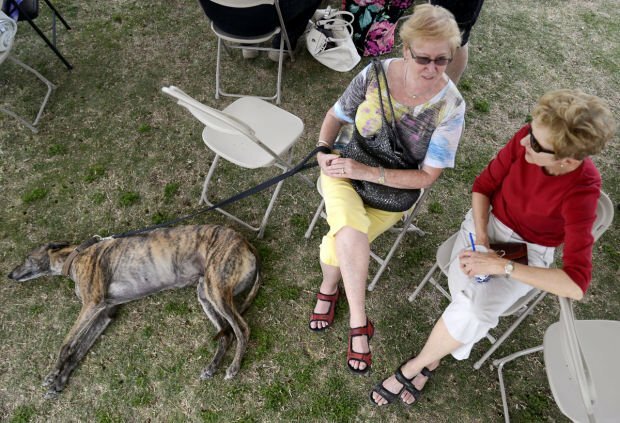 Ursula Jarvis, left, and Ginny Williams talk while Lincoln, a 6-year-old greyhound, rests in the shade at Brandi Fenton Memorial Park during Southern Arizona Greyhound Adoption’s member appreciation event. The organization provided ice cream and toppings to show its appreciation to its members. Jarvis is Lincoln’s owner. Kasey, a 5-year-old greyhound, licks Amy Kennedy’s ice cream bowl clean. 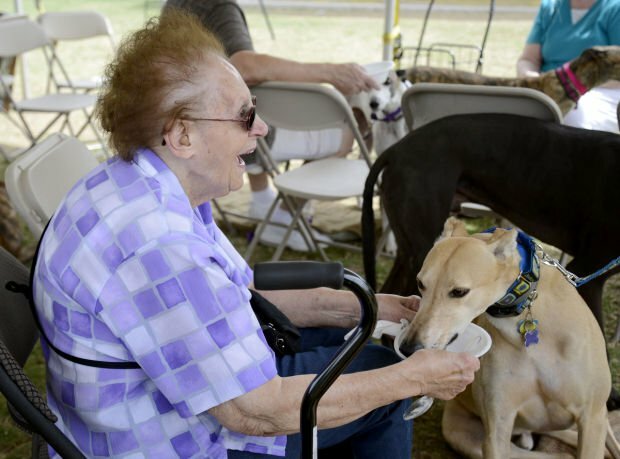 Kennedy’s daughter is a member of Southern Arizona Greyhound Adoption. Cathey Plunkett pets Jill, her 5-year-old greyhound. Plunkett adopted Jill almost a year ago. The event was Saturday at the park, 3482 E. River Road.